Just the other week, Emily and I were on our way back from a meeting and stopped into a little newsstand to check out the latest batch of wedding magazines. 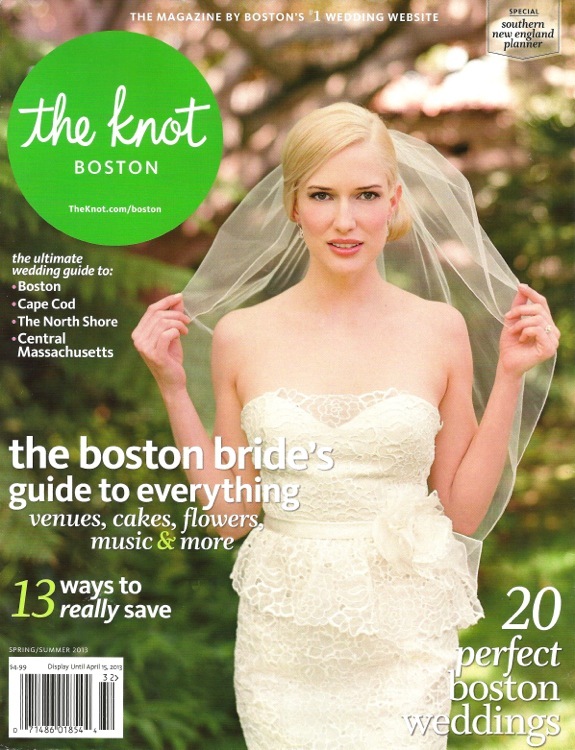 I'm so excited to share that we spotted one of our very own invitation suites in the latest issue of The Knot Boston and we just had to give you the update! We had heard that purple is making a comeback in weddings this year and this color report is convincing us that this is great news! Seriously, what a fresh and romantic round up AND you can pair purple with a variety of accent colors! Thanks for sharing in our excitement! Happy Monday! !